To the outraged fans who screamed on Twitter about Call Of Duty: Black Ops 4 not having a campaign, its okay, someone else heard you. 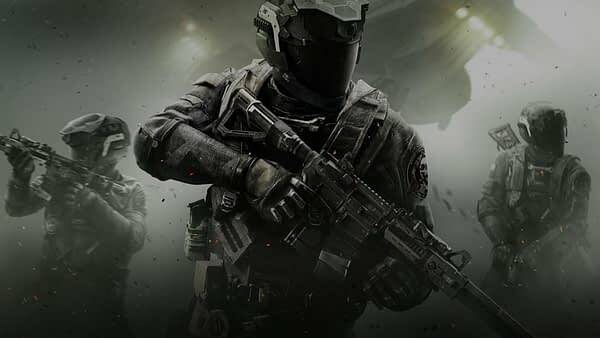 People tend to forget there are a few different studios working on Call Of Duty titles, and one of them happens to be Infinity Ward who has released games like Modern Warfare, Ghosts, and their most recent addition called Infinite Warfare back in 2016. It’s been rumored since the Spring that the company was developing a sequel to it, and now we kinda have confirmation as people were quick to point out that they are currently hiring for a temporary Narrative Scripter. Here’s a bit about the job. Come work with the game industry’s brightest on a new, exciting, unannounced title for multiple next gen platforms. In this hands-on role, you’ll collaborate with scripters, sound designers, writers, and directors to implement voice-over performances in-game across a wide variety of player experiences – from combat to set-pieces. Obviously, we’re not going to hear much else about the game as, at best guess, they’re probably aiming for a 2019 release. Also, kinda hard to talk about a game’s story if they’re looking for a writer. But on the plus side, everyone who was mad at Treyarch over having no campaign will eventually get a new one, they just have to wait another year for it. Rumor Mill: Call of Duty: Black Ops 4's Battle Royal Only Supports 60 Players?